The Sly Fox Brewhouse & Eatery in Phoenixville, Pennsylvania promises amazing beer and a great dining experience. Sly Fox was founded in 1995 and this great location later opened in 2012. 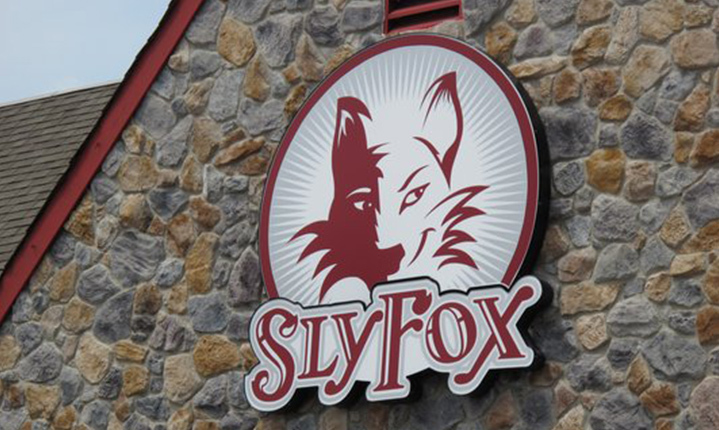 The actual Sly Fox brewery is in nearby Pottstown, Pennsylvania and this is where their delightful brews are crafted. Even though the Sly Fox Brewhouse & Eatery has only been around for a short time, it has already become a very popular destination for beer lovers from near and far. The atmosphere is very relaxed and staff are very welcoming – always striving to deliver excellent customer service. Sly Fox’s beer is not only unique, but also undoubtedly world class. Whether you are stopping in for a drink or two with friends, or you are looking to fill up on some great eats, the Sly Fox Brewhouse & Eatery will not let you down. From salads, sandwiches and burgers to chicken, pasta and mouthwatering desserts – the extensive menu will satisfy nearly any craving. Notably, the hot dogs are particularly popular with customers who rave that they go above and beyond to prepare you something that is anything but generic or boring. Additionally, the pretzel burger with pepper jack cheese and BBQ sauce that is topped off with an onion ring on a pretzel roll is a really unique plate that many customers love. The food and drink prices here are very reasonable – especially when you consider the high quality and great taste of their menu offerings. Sunday Noon – 10:00 PM. Sly Fox is located at 520 Kimberton Road (RT.113), in the Maple Lawn Shopping Center. Feel free to contact their friendly staff at (610) 935-4540.